The funeral service has always been an important part of society. It allows us the opportunity to remember our loved ones in a fitting tribute, one that is tailored solely for that person and represents their life as well as their accomplishments. It also allows us the chance to show our respect for that person. It gives us the chance to grieve our loss and to share that grief with others. It allows us time to memorialize our loved ones and gives us solace during the darkest of times. Today, the funeral service is changing to meet the needs of each individual family. As each family is different, so are their needs in choosing a funeral service. 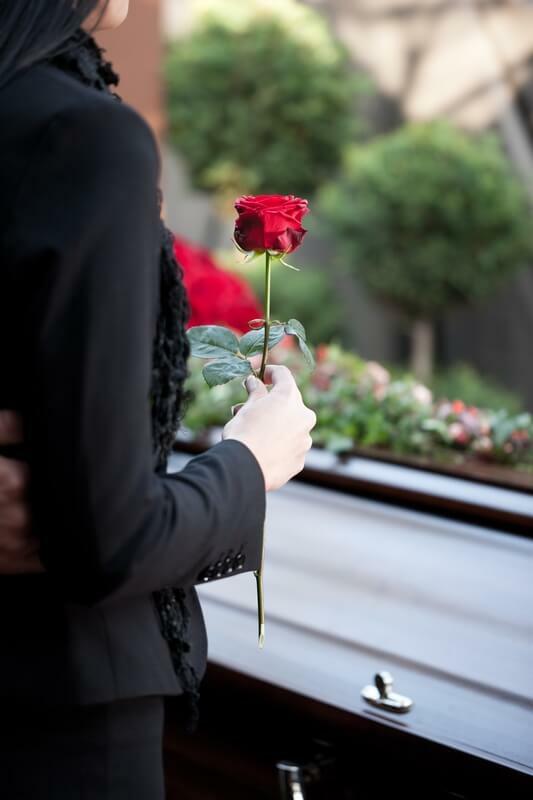 At Woodbury Funeral Home services are tailored for each family, keeping in mind the smallest of details, making every possible effort to allow you, the family, time to heal from your loss. We offer a large variety of caskets and outer containers to meet the individual needs and desires of the family. Only the highest quality of caskets and vaults are available. There are several styles and price ranges to fit your financial needs. Services may be conducted either in the church of your choice or in our spacious and convenient chapel as well as graveside services. We also offer out of town services when needed such as shipping services to funeral homes in other cities and states. We realize that each family has specific needs and we put forth every effort to see that each detail is carried out as the family desires. Woodbury Funeral Home offers a wide range of personalized services. Whether you want personal items placed in the visitation room or family pictures displayed, we can accommodate your needs. As part of our services we will also assist each family with VA benefits, Insurance claim filing, assistance in obtaining cemetery plots, and pre-planning funeral services. Today, more families are choosing cremation as a final memorial. Cremation may be performed in conjunction with traditional services as well as direct cremation with memorial services held at our chapel, in the church or place of your choice. As with traditional services, cremation services are very flexible and each one is tailored to represent the life of the one who has passed away. We have for your consideration a large selection of urns and urn vaults as well as memorial tributes. Pre-Planning -please see our pre-planning page. Monument sales and service includes granite and bronze monuments. There are several types to choose from or we can work with you on custom designing one of your choice. Military honors for those loved ones of veterans receiving a flag, we offer cherry and oak flag cases.